While there are a multitude of factors that affect the success of any business, in any industry, at any time in its evolution, there are four reasons businesses fail that stand out. According to the Small Business Association (SBA) only 30% of new businesses with employees fail during the first two years of being open, 50% during the first five years and 66% during the first 10. This study was across all industries and is based on the owner’s perception of “business failure”, hence subjective as to the why the business ended. This fallout rate however is a clear indication that business success is never guaranteed. Of the four reasons businesses fail, this is probably most common. Entrepreneurs often start small businesses centered on a product or service they know and love. Unfortunately many do not develop a business plan to guide the evolution of the business. For the new business owner, a business plan is not busy work with little value. A business plan helps you understand the market, where your business fits in, how you will compete and how many customers you will need to succeed. A business plan identifies the business’ operating expenses, prices and profits, competition and other essential information that will help in the future decision making by you and your management team. Small businesses fail because the business owner doesn’t invest the time and research into the business plan, which will help keep the business from making fatal mistakes. According to Allbusiness.com the lack of contingency financing is one of the four reasons businesses fail. This is often referred to as under-capitalization. Small businesses fail due to lack of “no cash cushion.” The economy works in cycles, with highs and lows and each small business faces unexpected challenges and unanticipated expenses. Your small business needs a reserve, emergency fund of capital for the unexpected. Having enough cash flow is also crucial for businesses. For whatever industry, to be successful, you need to ensure that the business revenue offsets all of its expenses, fixed and variable. While this may seem obvious (more cash coming in than you are spending) there are many ways that a new business can run into cash flow problems. Common cash flow issues for a new business include optimistic forecasts of future sales and expenses, insufficient attention to collecting past-due receivables, and not adjusting your cash flow schedule for the highs and lows of seasonal or cyclical changes. To avoid these issues, your small business budget should be adhered to or adjusted (if not realistic), investments (purchases) should be scrutinized closely, pay the business first (invest in the business reserve fund) before paying other expenses, identify potential financial lenders prior to needing to secure additional financing, and plan as far in advance as you possibly can. However your small business took form, whether due to a new idea, untapped market or a market with limited competition, these factors will change with time. You as the business owner need to recognize and acknowledge the fundamental need for adapting yourself and the business to changes in your industry. There are countless examples of companies that were “first to market”, that did not adapt as their market matured (more competition, changing customer expectations), that failed and literally disappeared from the business landscape. Remember who was before Microsoft in the networking PC industry? (Hint: Novell). Regardless of your business’ industry, you should be conducting consistent research of your industry (AKA your small business battleground). Who and what changes are occurring with your competition, what changes in expectations and behavior with your existing and potential customers, and what changes in products and services are being expected? Based on this information, your business should then adapt and make the changes to bring them to fruition. While market research, product development, and other investments may be expensive, they can often be worth the cost since it is an investment in your future and long term business success and survival. Your small business is growing and is a success. You see new opportunities for your business’ products and services. The orders are flowing in and potential customers are knocking at the door. Time to expand sales at every opportunity. STOP! Growing too big, too fast is one of the four reasons businesses fail. Why? Many small business owners do not adjust their business to this growth phase – not putting in the right management, not researching new products/services, not placing proper quality controls, and not having needed processes to support the strains of business growth. Implementing these changes requires investing time and significant working capital, putting a young business at risk. Most successful small businesses grow at a slow and steady pace. 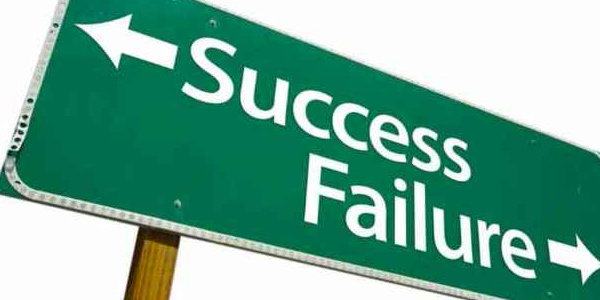 Four reasons businesses fail are presented with recommendations on how they can be avoided. A small business owner faces many challenges in any industry. If you can recognize these common sources of business failure before they occur in your business, you will have a much better chance of avoiding them and succeeding within your industry.